A Straight Flush Is Better Than a Full House! Call Now For Your Free Estimate! Since 2006, Dayspring Plumbing & Heating, Inc. has served the Helena, MT area with reliable plumbing and heating services.We specialize in a wide variety of services, including toilet and sink repair, bathroom and kitchen remodels, water heater repair and replacement including on demand water heaters, water softening installation & service, piping, gas line repairs and installations, boiler service repair and replacement, in floor radiant heat, and much more. 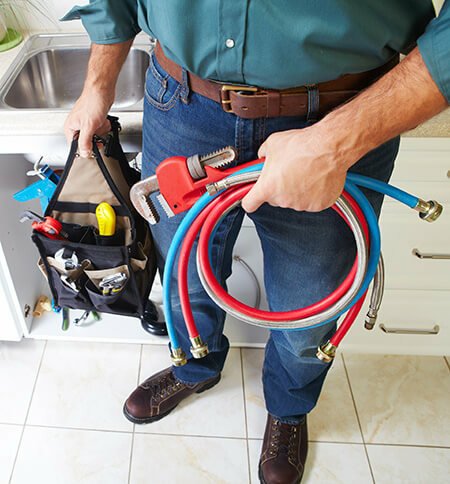 Let our knowledgeable and well-trained experts provide your residential or commercial property with top-of-the-line plumbing or heating repairs and installations! Every fixture and system in your home needs proper attention and maintenance to perform as expected, including your plumbing. Contact Dayspring Plumbing & Heating, Inc. and let us become your trusted plumber in the Helena, MT area when things go wrong. Whether it’s inspections, repairs or replacements, there is nothing we can’t do! 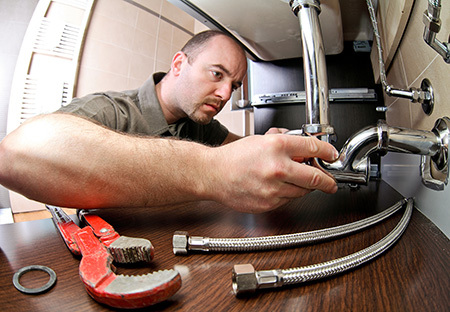 With over 30 years of combined experience, we guarantee to provide exceptional plumbing services. Aside from being a top-of-the-line plumbing company in Helena, MT, we also offer high-quality heating repairs, inspections and replacements. Is your water heater or hot water boiler acting up? Contact us and let us improve your water quality! Dayspring Plumbing & Heating, Inc. provides expert service on all product lines. We serve residential and commercial customers in Helena and the surrounding communities, including East Helena, Boulder, Lincoln, Jefferson City, Montana City, Townsend and Winston. Our team is built upon foundations of honesty and integrity in both our work and our pricing. We take pride in our A+ rating with the Better Business Bureau (BBB) and providing customers with high-quality services. Don’t wait until a leaking pipe becomes a costly headache or a clogged drain turns into a major water damage issue—contact us, your plumbing and heating experts. Our business has more than 30 years of experience that sets us apart from our competition. We’re locally owned and community focused, closely tying us to the Helena, MT area. Does your bathroom need an update? Contact us and let us remodel it! From plumbing repairs to drain and sewer cleaning, inspection and installation, we provide a wide variety of services to improve your residential or commercial property. We’ll repair your plumbing and heating issues with high-quality products to ensure it doesn’t happen again. Let Us Fix Your Plumbing or Heating Issues! Contact us at 406-461-8996 and let our knowledgeable and well-trained experts take care of your residential or commercial plumbing problems! Dayspring Plumbing and Heating proudly is the devoted local plumber in Helena, MT.